To celebrate eighty years since the first Empire Flying Boat was launched, we're hosting a Goodreads Giveaway for White Water Landings. Two copies of the paperback are available as prizes in this raffle, and you just have to be a Goodreads member to participate. Geoffrey was part of the commissioning team for the second Empire Flying Boat to be launched, Centaurus, G-ADUT (picture courtesy of Mark Postlethwaite). In White Water Landings he talks about the altitude testing - 10,000 feet with an unpressurised cabin and no oxygen, and the landing when he was sent into the tail section to report on how it felt. He had nothing to hold onto except a few wire struts, and only the airframe skeleton to stand on! Enter here for a chance to win. Open until 30th September, for members anywhere in the world. 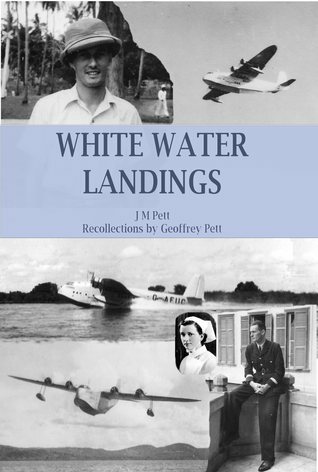 You can buy the ebook of White Water Landings at Smashwords, or the paperback at Book Depository, if you can't wait!